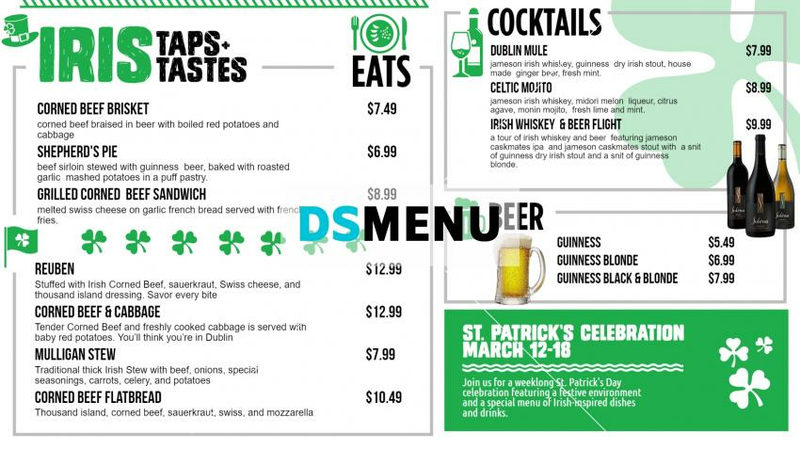 The typical St Patrick’s Day menu board with a traditional and classical look and feel. The white background color is well meshed-in with the green, used selectively to lend a rare elegance. The menu sizzles with beef brisket, sandwiches, corned beef, cabbage, stew, flatbread and cocktails. When placed on a digital menu board the dazzling impact is certain to bring in the crowds. A great menu board for menu advertisement and promotions.